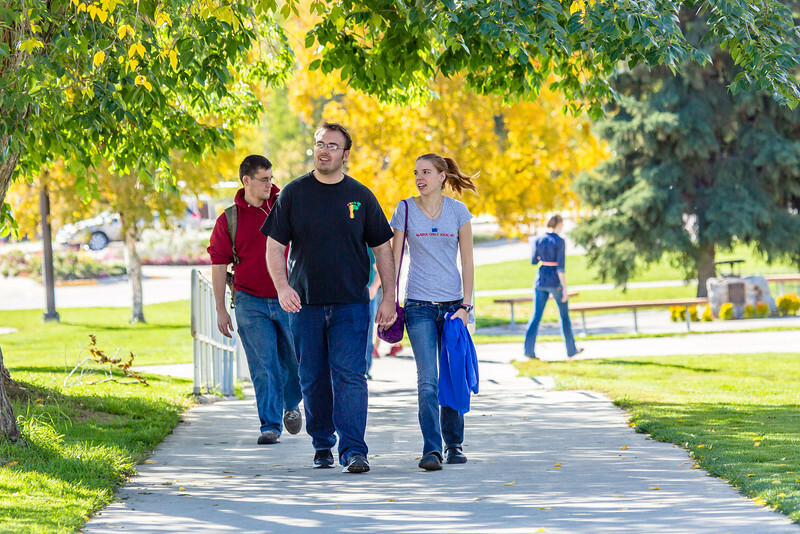 Jacob Monagle and Lindy Olmstead walk up the hill after lunch in the Commons on a beautiful September afternoon on the Fairbanks campus. Monagle is a senior majoring in electrical engineering. Olmstead is studying to become a nurse.